When you are injured and out of work, the situation you face can put you in a real bind. You are unable to make money you need to afford to take care of your family and your financial responsibilities. On top of that, you likely having mounting medical bills and costs that you do not know how to deal with properly. Who is responsible for paying when the accident was not your fault? What are you supposed to do about all of this? It is very common for people in your situation to get extremely frustrated and tense. At a time like this, you need to get quality advice and guidance about what to do. That is why you want to choose to come to us at Belal Hamideh Law to get the representation you need. At our law firm, we only handle accident cases, so we are specialists in this particular area. We have built a stellar reputation over the years in representing and protecting the rights of accident victims in a wide variety of cases. We can handle accident cases involving cars, buses, motorcycles, pedestrian accidents, workplace injuries, worker’s compensation claims and any other personal injury claim that you may have. Our mission is to make sure that you get the justice you are entitled to and the maximum amount of compensation possible for your case. One thing people fear about talking to a lawyer is that they think they will not be able to afford one to represent them, particularly if their injury has left them unable to work. At Belal Hamideh Law, we will take your case on a contingency basis, meaning we do not get any payment at all unless a settlement is reached on your behalf. Any payment will come from the settlement or judgment and we will bear the burden of all costs for your case upfront. 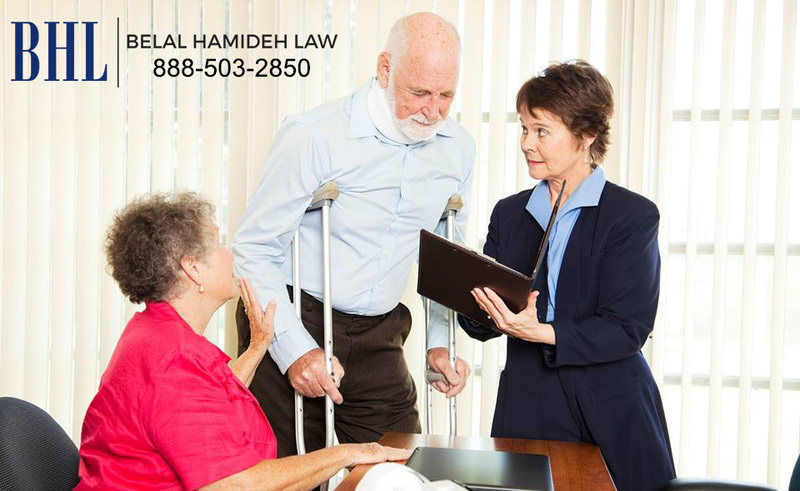 At Belal Hamideh Law we can provide you with all of the help you need with your case. Take the time to call our office at 888-503-2850 and you can arrange to have a free consultation with our expert attorney so you can talk about your case safely and confidentially. You will find that you have a great deal to gain by allowing us to work with you towards getting you the money you deserve.